Cuteness abounds in this 2-bedroom house with a Solar Paneled roof! This adorable house features hardwood floors, exposed brick, stainless steel and granite in the kitchen, plus a separate dining room. It also has a newly renovated bathroom on the upper level. Great outdoor space for entertaining with fenced front yard and spacious back patio. 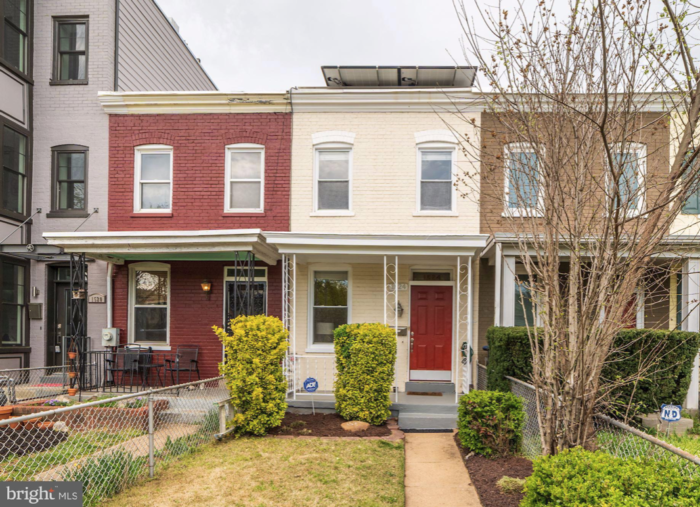 1524 North Carolina Avenue NE is listed at $569,000 and will be open this Sunday, April 14, from 1-4 p.m. Want to take a virtual tour? Click here!